'Morning at the Grain Bins' Receives First Place at the TAC Visual Arts Showcase! I am honored 'Morning at the Grain Bins' received the first place award at the TAC Visual Arts Show 2014! 'Morning at the Grain Bins' was painted in plein air this summer. The location is a series of old grain elevators that reminds us of the recent past here in Teton Valley. The train used to go through this complex of buildings, moving grain to it's destination. The site hold tremendous history and incredible visuals. I will be back here to paint! 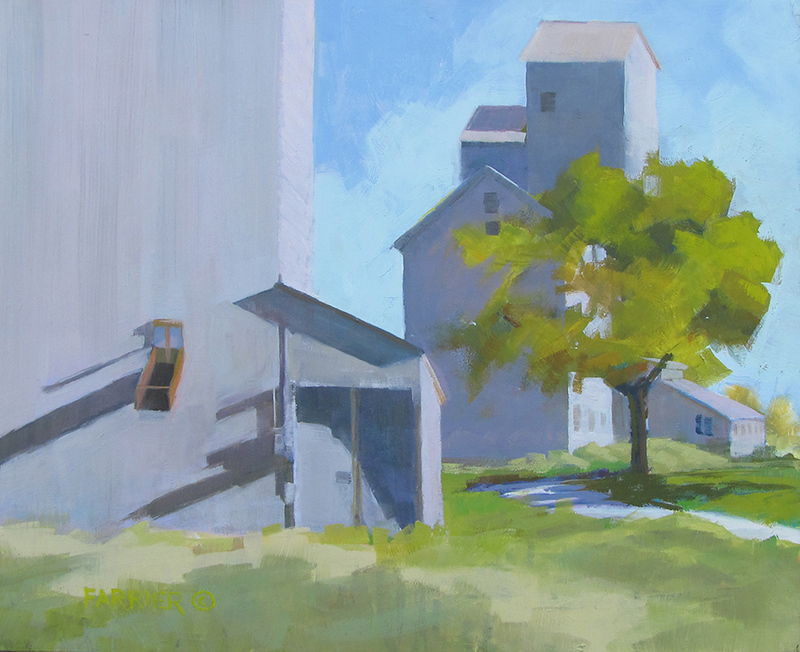 When painting 'Morning at the Grain Bins', my focus was on simplicity of composition and color relationships. The challenge is ever present and so satisfying when it works out! You can see the development of this painting through a series of images in the August 2, 2014 post on this blog.